Mr. Rao is a partner at Binder & Malter LLP. Mr. Rao has over 36 years experience representing businesses and individuals, both as debtors and creditors, in all types of bankruptcy cases and proceedings. Mr. Rao’s focus is in representing individuals and small businesses in Chapter 13 and Chapter 7 cases. Mr. Rao also has considerable experience representing secured creditors and landlords in Chapter 13, Chapter 7, and Chapter 11 cases. Mr. Rao has represented thousands of individual and small business debtors in Chapter 7 and Chapter 13 bankruptcy. 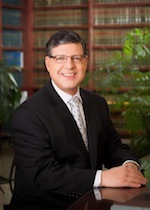 Mr. Rao’s expertise includes bankruptcy planning, asset and exemption planning, prosecuting and defending businesses and individuals in dischargeability litigation, avoiding unsecured deeds of trust, avoiding judgment liens, including those impairing homestead exemptions, representing debtors and creditors in motions for stay relief, and dealing with family law issues in Chapter 13 and Chapter 7 bankruptcies. Mr. Rao has successfully defended bankruptcy appeals to the Ninth Circuit Bankruptcy Appellate Panel and to the Northern District of California. Mr. Rao has been a panelist and presenter at numerous bankruptcy seminars speaking on such topics as general consumer bankruptcy issues and strategies, family law issues in bankruptcy, and mortgage lending issues in bankruptcy. Mr. Rao was born and raised in San Jose, California and joined Binder & Malter LLP in 1986. Represented thousands of businesses and individuals in bankruptcy, including homeowners, developers, engineers, doctors, nurses, attorneys, restaurateurs, accountants, realtors, and law enforcement professionals. Represented creditor engaged in state court litigation against bankrupt debtor in debtor’s Chapter 13 bankruptcy proceeding in which creditor’s claim in bankruptcy court exceeded $40 million. Represented the owners of five apartment buildings in successful Chapter 11 reorganization. Represented countless landlords and secured creditors in relief from stay proceedings. Santa Clara County Chapter 13 Committee.